Irish traditional social dances are done to reels, jigs, hornpipes, polkas and waltzes. We teach ceili and set dances for adults, NOT step. 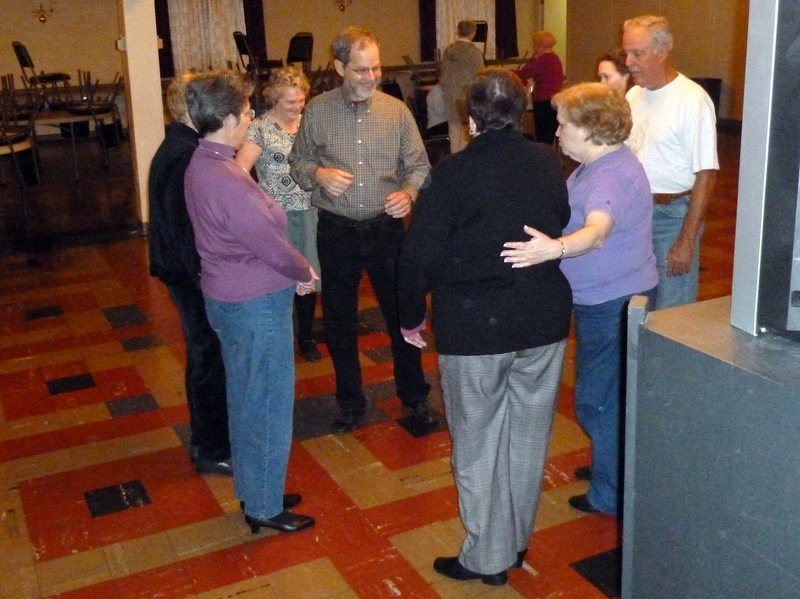 Ceili (pronounced kaylee) dances can be for 2, 3, 4 or more dancers, or an unlimited number in a round or line dance. Set dances are done with four couples arranged in a square. The term 'set' refers to this formation and to the dance itself that usually consists of three to six figures. Each figure is a series of dance patterns or movements (e.g. 'house', lead around, square, etc.) and footwork. Our classes are informal, lively and fun, and you do not need a partner . The dance classes are held on Wednesday evenings from 7:30 to 9:00 P.M. with Mary Collins teaching beginning and regular ceili and Set classes. Price is $6.00 for all the classes.